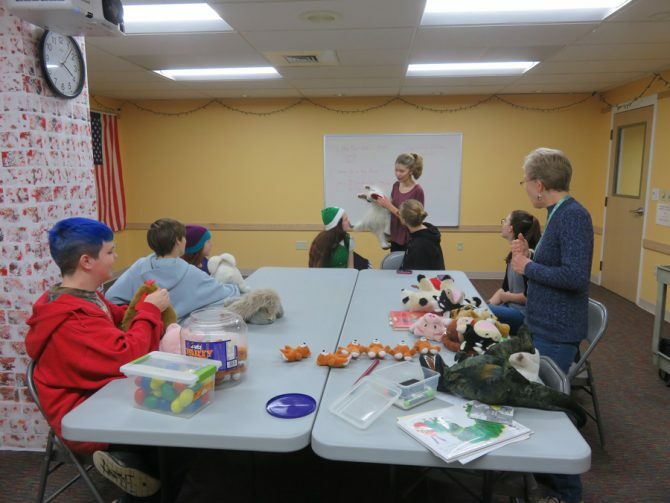 Fairborn Community Library’s Teen Advisory Group (TAG), led by Youth Services Librarian Carol VanDerSluijs, is 24 teens strong with ages ranging from 12 to 18 years old. These dedicated teens assist with children’s programming, community outreach events, and help Fairborn’s librarians keep the library clean and organized. In 2018 alone, they volunteered over 850 hours. This January, TAG is undertaking a new, completely teen-led project: a puppet show! Teens will choose the stories and the characters (llamas, dinosaurs, and bears! Oh my! ), write the script, and will finally perform the skits for an audience on Thursday, January 17, at 6 p.m. Afterwards, children will have a chance to meet and greet the puppeteers, enjoy a snack, and make a craft.